The MLB trade deadline, on July 31, is always a crazy time. Teams try to become better in a variety of different ways, whether by trading for All-Stars to win right now, backups to give their team some postseason depth, or even prospects to make their team good in years to come. Making the right moves at the deadline can be especially crucial to teams that are in playoff contention and need an extra boost to help secure a spot. Here are the three teams that helped their playoff chances the most at this year’s trade deadline. The Dodgers top this list because of the magnitude of the trades they made to get back into the playoffs. The defending NL champs traded for solid relief pitcher John Axford, Gold Glove second baseman Brian Dozier, and superstar third baseman Manny Machado. Axford is a good player who has struggled this year with a 5.44 ERA through 51.1 innings, but his veteran mentality could help the Dodgers in the postseason. Dozier can hit home runs: He finished with 42 in 2016, 34 last year, and has 18 this year. He also plays good defense and has a .979 fielding percentage this year that could give this team a much-needed boost defensively. Trading for the 26-year-old Machado was the biggest move. He was a perennial All-Star with the Orioles and is hitting .308/.384/.550 with 26 home runs and 70 RBIs. This is a very “win-now” move for the Dodgers, though, because he will become a free agent next year and could simply walk away,they are clearly looking to go all-in for a ring. The Dodgers could be a very dangerous team over the next couple months. Of the three teams here, the Brewers are the most likely to make the playoffs. They are in the first wild card spot, have the second best record in the National League, and just made two big moves. FIrst, they got third baseman Mike Moustakas from the Royals. 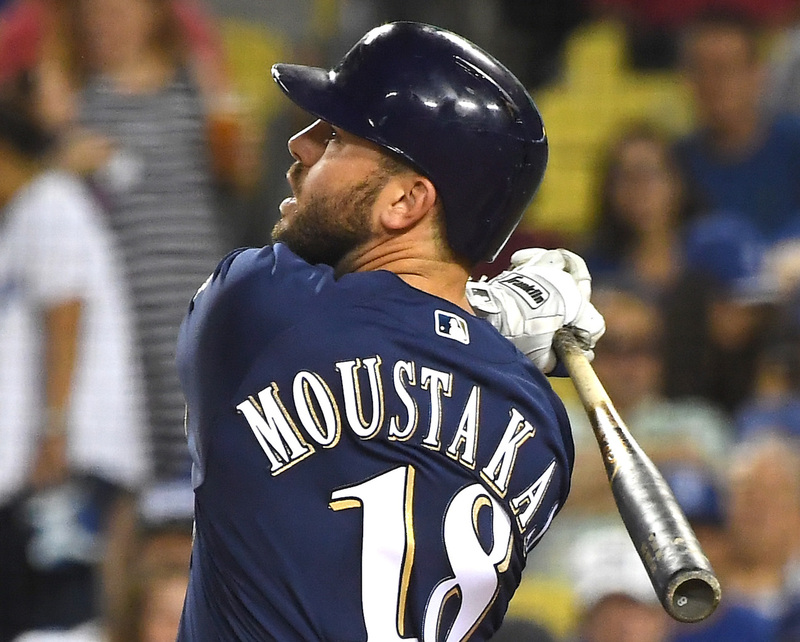 Moustakas, or Moose, is a two-time All-Star who has 22 homers and 68 RBIs this year. He is a veteran who already has playoff experience and a ring, which could come in handy in the playoffs. The Brewers also traded for Orioles second baseman Jonathan Schoop. Like Moustakas, Schoop is a power-hitting infielder who has 17 home runs this year. He is only 26 and could be an asset for years to come. Overall, the Brewers made some big moves to confirm that they are championship contenders. The Braves made some solid trades to get ready for October. First of all, they acquired Adam Duvall from the Reds to back up young star Ronald Acuna Jr. in leftfield. Duvall has a subpar .203 batting average, but he is a good power hitter, with 15 homers and 61 RBIs this season. Then, they traded away a series of prospects and future considerations for three Orioles pitchers: Kevin Gausman, Brad Bach, and Darren O’Day. Atlanta’s pitching has been O.K.—the staff had a combined 3.86 ERA—but the Braves needed to add a little depth and they did that. Gausman is a promising 27-year-old starter who needs some work but is a solid rotational option. Bach is a former All-Star reliever who has pitched to a 3.14 career ERA and could provide valuable veteran leadership come October. And O’Day is one of the best relievers of the decade, with a career ERA of 2.56 over 500+ innings pitched. His unusual submarine pitching motion makes him extra difficult to hit. Look out for the Braves this fall!